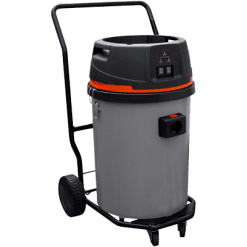 The DOMUS-IF Pro Wet and Dry Vacuum is a work horse for the industrial sector. 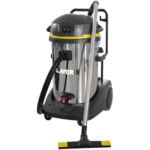 With its fantastic reliability and twin 1200 watt suction, this unit is very popular. 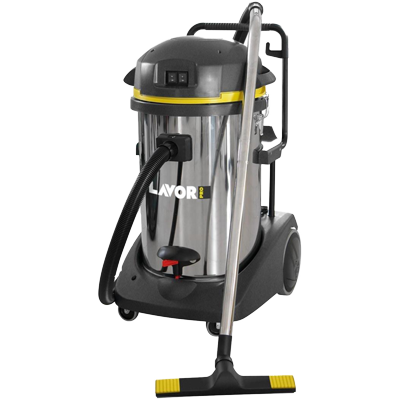 The cleaner comes standard with a stainless steel tank and suction tubes with a sturdy frame. A 10 amp plug means you have the convenience of connecting it to any common power supply. 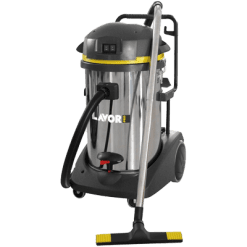 With a long power cord and ease of cleaning you can see why this is a favourite model for any industrial job.